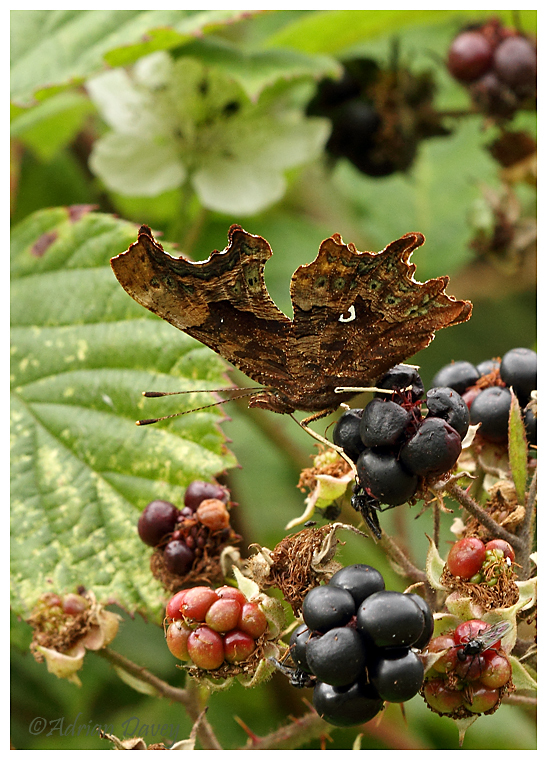 Adrian Davey Bird & Wildlife Photography: Comma on Blackberries. Roadford Lake, Devon, August 2015. Underwing showing the 'comma. mark.